We operate a completely pesticide free organic farm and a correspondence-based high school on an island called Yakushima, in Kagoshima Prefecture, Japan. Currently, we are seeking people who can help us on our farm, especially someone with experience working on a farm or knowledgeable about organic farming. On our farm, we focus on “The 3 No’s”: No agricultural chemicals, No weed killer, No chemical fertilizer, and we challenge ourselves with new ways of farming, such as using microbes. Our goal is to find an original farming method based on the nature found on Yakushima. 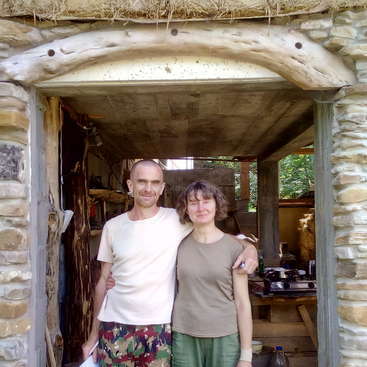 We are also interested in permaculture and we look for sustainable lifestyles within this beautiful environment. With our high school, many students from all across Japan come here every week. They challenge themselves with various initiatives such as making new friends and getting in touch with nature. During their days here, we want the students to learn that they are connected with one another, and that people, nature and all things are interconnected. This is a perfect environment for our education. Yakushima was registered as a World Natural Heritage Site in 1993, and it is a wonderful environment where the mountains and sea spread out in front of your eyes. Its forest is also famous for being the model for the setting in the anime “Princess Mononoke”. 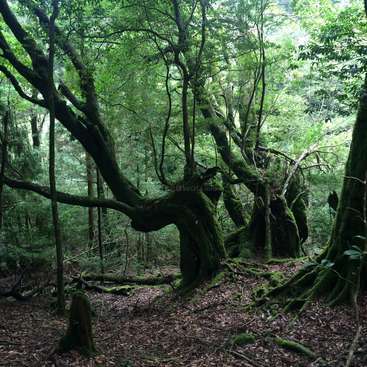 We hope that you will come to Yakushima to experience the splendid nature here. If you have any questions, feel free to send us a message. We are looking forward to seeing you on Yakushima. We can teach you about the Japanese lifestyle and the Japanese language. You will be interacting with Japanese students, thereby learning the trends and attitudes of Japanese youths. We also hope that you will enjoy the taste of vegetables and fruits grown on our farm. Food grown in the bountiful environment of Yakushima is very special. We would like you to help with the daily work on the farm such as weeding, watering and cleaning. Depending on the season when you come, we may ask you to help us with planting and harvesting crops as well. Since we don’t use herbicides, there is a lot to do. Let’s have fun farming together! If time allows, perhaps we can make homemade Japanese food together using the vegetables from our farm. For agricultural work on the farm, it is best to wear hats, long sleeves, and long trousers regardless of the season (to prevent sunburns and insect bites). Also, please wear clothing that is easy to work in, and adaptable to various temperatures. We advise you to insure against sickness or injuries before coming to Japan. We would like you to participate in ice breaking games and outdoor classes. Through the ice breaking games, we are going to make a team. There are a lot of high school students who are not good at communicating with others. So, we hope them to develop the strength to make the next step forward through involving with others with courage, dealing with what they feel and sharing their feelings. In the outdoor classes, students experience the forest and the sea of the world heritage, such as Harutahama Beach, Yakusugi Land, or Shiratani Unsuikyo Forest. Through interacting with such nature, they are to release their stresses with feeling the vital power of Yakushima which is difficult to feel in the cities. If you are proficient in English, we may ask you to help with English classes at our high school sometimes. Please talk with the students and teach them about the culture of your home country. It would be great if even one more student gains an interest in life overseas as a result of this interaction. I hope you to deepen exchanges with the students in those classes with using Japanese or English. - People who can stay for at least 1-month. Currently, we can only accept 2 people at a time, so if we are fully booked then applications may not be accepted. Our high school has a dormitory, so accommodations will be provided there. If a room is vacant, we can prepare a private room for you. Shared bathrooms, a shared bath, a washing machine, and a refrigerator are also available in the dormitory. We also provide breakfast, lunch, and dinner on days when volunteer work is done. Breakfast and dinner are served at the school cafeteria and lunch is served at our farm. We hope that you will enjoy having meals with our high school students. Enjoy all kinds of activities in the mountains, the ocean, and the rivers on Yakushima. Activities that you can experience include trekking in the mountains, snorkeling, stand-up paddle surfing in the ocean, canoeing in the river. Famous places include Inakahama (Inaka Beach) – where sea turtles come to lay eggs in the summer, Shiratani Unsuikyo (Shiratani River Valley) – the model site for the Ghibli animation “Princess Mononoke”, and Jomon Sugi (the giant ancient cedar tree) – which is said to be 7,200 years old. Our high school is 45-minutes by bus from the airport, and 1-hour by bus from Miyanoura Port. The location is close to the ocean, and the scenery is very beautiful. Nearby is a famous hot spring called Hirauchikaichuu Onsen (Hirauchi Sea Hot pring), where bathing can be done only at low tide. Travel from Kagoshima to Yakushima by airplane, high-speed boat (called Toppy), or ferry. It takes 40-minutes by airplane, 2-hours by high-speed boat, and 4-hours by ferry. She stayed at Yakushima for 21days. She was very outgoing and friendly and neat. She loves sports. She tried to interact with our students by playing volleyball. She also played volleyball team of Yakushima once a week. She enjoyed interacting with the locals. It would be very good experience for her. She can speak and write Japanese very… read more well. She will be a great workawayer. We highly recommend her. Beginning from the staff members. Yuki who is in charge of the contact with WA is a really, really awesome, helpful and thoughtful person. Everything goes smoothly and you can ask about anything, anytime. All the information are provided and clear. You got your schedule in advance what makes it super easy to plan your… read more stay on the island. People working in the high school are also very kind and cheerful and they are just doing great job there. You never feel like an outsider because everyone tries to be warm and welcoming. Thank you all! Work at Senvus village is just a good change from time to time from the school work. Your job is clear and rather easy so no worries even if you never ever worked on the field. What's more the food there - paradise. Yakushima island is the must be spot on your map. Nature there is astonishing. You can chill and relax, forgetting about the stress of the big city life and enjoy all the hikes, walks and views. She stayed at Yakushima for 32days. She always tried to learn new things. She was so friendly and kind and polite. She taught English to elementary students for 1 year in Japan, so she can speak Japanese very well. It was very helpful for our students at Yakushima. She was very interested in Japanese food and tried to know how to cook Japanese… read more food. She especially loved Karaage of Tebasaki. Megumi and Kazuko taught her how to cook it. Please come back to Yakushima again. We highly recommend her as a workawayer. This was my first workaway experience, and it was wonderful. My 3 contacts were all so helpful and friendly and lovely. Yuki is based far away in Fukuoka, but she can help you with anything. Mai, at the high school, is so fun and will always make sure you are happy and comfortable. Tatsu, at Senvus Village is such a kind and friendly man, and he… read more is learning English so he will speak a mixture of Japanese and English for both your benefit and his! 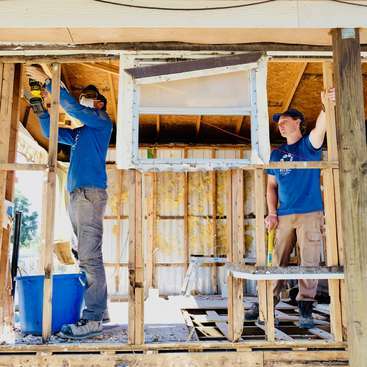 The work there usually includes getting involved in team building classes with students and speaking a little English, going on amazing outdoor excursions (some of these places you will probably plan on going to anyway) and eating meals in the cafeteria with students and teachers. You will have ample free time, but I recommend spending a little of your free time playing sports or card games or chatting with students with their limited free time after dinner, and also enquire about joining a class with students! You’ll also go to Senvus Village usually once every week or so, and depending on the time of year, you will assist Tatsu on a variety of jobs. I helped clear road paths, clean up outdoor areas of fallen trees/branches, tidy up displays on the grounds, and pick fruits from trees with Megumi and Kazuko (you’ll be encouraged to pick some to eat right then and there, and to take some back with you, I definitely recommend doing this!!) Megumi and Kazuko also will cook lunch for you on the days you visit and their cooking is the best. You’ll love it. I even got a recipe for a meal from them because I loved it so much. As mentioned, you’ll have a lot of free time. Hitchhiking is safe and common there, so if you’re comfortable doing it, do it!! It’s a great way to get around and meet some really friendly and interesting people. There are so many waterfalls to visit and lots of hiking opportunities. The bus services aren’t too regular and they are a little expensive, so bring some good walking shoes or hitch a ride! I’m so grateful that I got to go and do workaway in Yakushima. I feel deeply grateful I had the opportunity. This was my first experience as a volunteer, and I can say today that I was very lucky to be a part of such an experience! We did a lot of various tasks during our time in Yakushima. Half of the job is to help Kobayashi-san at the organic farm. I had a lot of fun there and I never get bored : we picked up some ponkan, took care of the aromatic… read more plants, did some easy maintenance works, and we even pick up some honey from the hive ! If you are lucky you will also cook with Megumi and Kazuko, two lovely ladies who are real chiefs ! Also, we had the chance to help for a very special event at the farm during our stay. We met a lot of interesting people. At this time, everybody has been very nice to us. Hidetoshi and Keiko really helped us. Thank you ! Volunteering at school is very different but also very exciting. Mai will make you feel very comfortable there. You will have the opportunity to exchange with the students everyday. Yakushima is an amazing place, and you can go there with your eyes closed. I will never forget my time there and will go back ASAP. Thank you Yuki and everybody for everything ! She joined us for a month. She did various activities at our school and Senvus village. She did some extraction of the honey. She sometimes watered herbs and harvested Tankan ( a kind of Japanese oranges). She always tried to learn Japanese and Japanese culture and ask us anything about Japanese new words which she didn't know. She is very… read more cheerful person and kind to everybody. She also did a great job at our school. She tried to contact with our students even though they were so shy and couldn't speak English well. We highly recommend her as a volunteer. She did volunteer activities for 36 days in Yakushima. She is an honest and a diligent worker. Everyone said she had done a great job at our school and Senvus village. All the staff really appreciate what she has done for us. She was also a hard worker and she was talking with the staff in Japanese in order to practice Japanese language. Her… read more Japanese has gotten a lot better and also she can send an email in Japanese well. 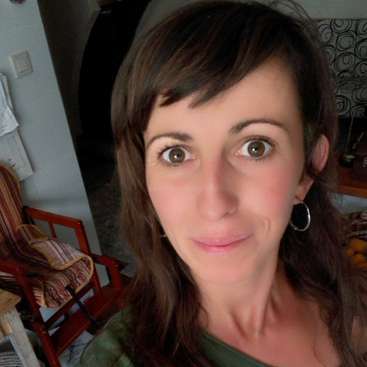 She can adapt to any circumstances because she is a very mild and attentive person. .
We highly recommend her to any hosts as a workawayer. 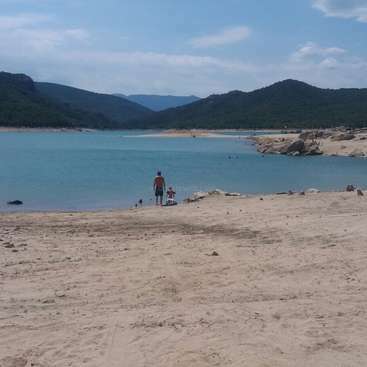 This was my first experience with workaway and everything was perfect! At school, we joined classes and field trips to speak with the students. Even if many of them were shy, the classes were a lot of fun and it was rewarding to get to know the different students better within the days we spent together. At the farm, we helped with the regular… read more maintenance, we picked up fruits and prepared the place for a special event. I think the balance between work and fun was very good, because the work was never too difficult, but varied enough to be interesting. We also ate incredibly fresh and delicious food at the farm! We had a few days off per week. Yakushima is a wonderful place with a unique ecosystem, so everyday you can do something new at the beach, at the waterfalls, by the rivers, in the beautiful old forests or at the villages! And finally, most importantly, everyone was super nice to us. Yuki-san, who is the main contact via email, works at Fukuoka (a city in southern Japan) and if you have the chance, you should meet her before or after your stay in Yakushima. She is very kind and helpful, she always got in contact with us to be sure everything was ok! The teachers at school and the people at the farm were amazing, too. I highly recommend this workaway and host! My only advice is that you should learn Japanese at least a little before going, as many people don't speak a lot of English. Also, if you have a driver's license, translate it into Japanese so you can drive around the island on your days off, otherwise you'll have to take the bus, which is expensive and not very convenient. She joined our project for a month. We were so surprised that she could speak Japanese fluently. Our students couldn’t speak English well, so it was very helpful that she always spoke in Japanese with them. We really appreciate it what she has done for our project. She always made someone happy with her smile and tried to become a good friend… read more with our students, teachers. and staff of Senvus village. She also can speak multiple languages, so it was very helpful at Senvus village when we had a big event there. She worked as a volunteer for us for about one month. She was interested in our farm plants, because she studied gardening in the UK. She loved especially “Shiso” (Japanese basil). And she really enjoyed the provided meals made with our self-grown vegetables. At our high school she supported the students a lot. She is a very gentle person. We… read more recommend her as a volunteer. Please come back to Yakushima again. She worked at our farm and high school as a volunteer for 25 days. This was her first visit to Japan. She studied Japanese at her university and was a great help because she can speak Japanese very well. This was her first time visiting and staying in Japan, but with her having studied Japanese at her university, she was a great help with her… read more Japanese skills. She is a very caring and soft-hearted/ friendly person, always with a smile on her face. She was surprised/shocked by the passing typhoon, but she found it a “good experience”. We recommend her as a volunteer to everyone. This was my first workaway experience and it honestly couldn't be better. I was SO lucky that Yuki chose me to come to Yakushima. :) I can't even describe how beautiful the island is, you have to see for yourself. But I don't think I have ever seen a place more beautiful. The work in Yakushima is diverse, which is good - you'll never be bored. 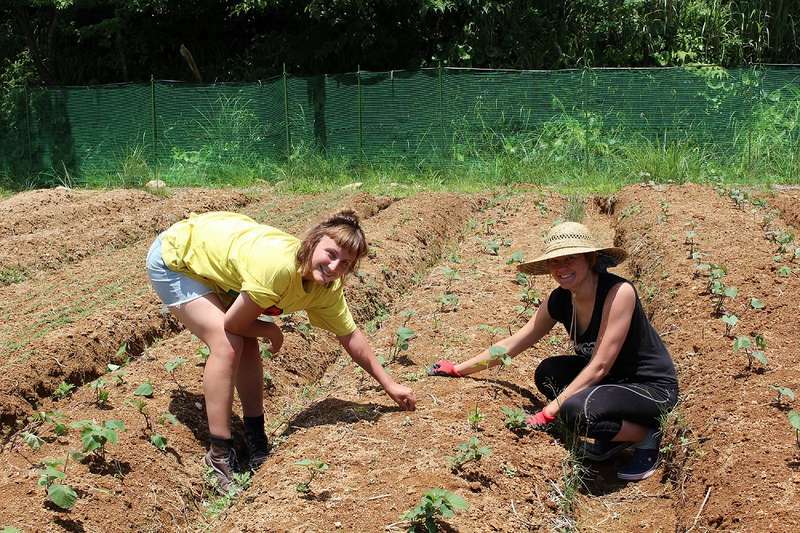 In… read more the school, you'll take a part in team buildings with students and the work on the farm consists mainly of watering flowers, picking up fruits and general maintenance (depends also on the season). In any case, the work is always reasonable and easy. And what I appreciated the most - also meaningful. The school cafeteria provides food even on your days off and the stuff in the school is very nice. When you work on the farm, Senvus village, you eat your meals there. And this is also an incredible experience. Megumi is a great cook and you'll also help her cooking and learn how to cook Japanese food. I really miss her and of course also Tatsu - he was one of the nicest persons I have ever met and I hope we will see each other again. The manager of the project, Yuki, is an incredible woman, who is always prepared to help you with everything you need. I owe her so much - thank you again for everything Yuki! To sum up, if you have a chance to go to Yakushima, don't hesitate for even a minute. It will be an experience of the lifetime. One thing to say though - it's better if you speak at least a little bit of Japanese. Otherwise, the communication with the stuff can get hard. The work is always varied and super interesting: you will do many different things on the farm such as weeding, planting, collecting fruits, dispersing fertilizer etc. Get ready to eat delicious Japanese meals prepared by Megumi-san and Kazuko-san and have some really good laughs with Tatsu, all with whom you will definitely share amazing moments! At school, you will learn to communicate with Japanese students (in English and Japanese), help them in various team building activities and participate in outdoor activities. If you would like to learn about Japanese culture and practice your Japanese skills this is really the perfect opportunity for you! You usually have two days off in a week but also have some free mornings or afternoons on working days. During free days you can go the nearby ocean onsen (amazing by night you can see stars while chilling in the baths), self-study Japanese, go hiking, do some activities with the staff and workawayer. I really recommend asking them if and when they have free time to do stuff because they are amazing people - I had a really fun time with them when they took us aroung the island for the entire day to see monkeys and deers in the wild and we also went to the beach. The dormitory you stay at is very clean, quiet, and you have your own private room with AC which is really amazing. Overall this was an amazing experience where I learned a lot more about the Japanese language, the people and the culture, and all of this in the incredible environment of Yakushima! Please go you will not regret it! He is very kind and thoughtful and smart. He is a super volunteer. He always tried to support our students and also learn Japanese and Japanese culture. We really appreciate it. We would recommend him to any host. We miss you a lot. Hope come back again. He is very kind and thoughtful. We were very happy you came back again for our program from Tokyo. We really appreciate it. We miss you a lot. Hope come back again soon and visit Fukuoka next time. She has a bright and friendly personality. She can speak Japanese very well. She always tried to know Japanese culture and language. We would recommend her to anyone. Please come back again. She did volunteer activities for our program for a month. She can speak Japanese very well. She always gave consideration to our student's feelings and also tried to build a good relationship with the students, teachers and the staff of Senvus village. She is very thoughtful and patient. We highly recommend her. Please come to Yakushima again. I had a fabolous time. Not only is the nature prestine and has so many various aspects to explore (snorkeling, Onsen, hiking, forest...), but also I met amazing people. I volunteered at the school and the farm. On the farm there are such lovely and heart warming people. And for lunch I had the best meals ever! At school I met students from all… read more over Japan and I had the chance to do team building and outdoor activities with them. Also all the teacher are so enthusiastic! Even with their tight schedule, they took me to dummer festivals and around the island. She was a great volunteer. She has cheerful and very nice personality. She always tried to learn Japanese culture and language. She is also hardworking, patient, honest lady. She is loved by everybody. We miss you a lot. We are waiting for your return. Ilenia is very nice person. She is always kind with a smile to everyone. and get to know them.She can write and speak Japanese well. She made the booklet for new workawayers. It will be very helpful for them. We really appreciate all of… read more you. We highly recommend her as your workawayer in the future. I absolutely recommend this workaway! It was my first workaway's exeperience and I spend two months here. The work in Senvus, the farm, is really funny and I learned a lot of things, like build a bee house, pick up tea and so on. There are four people working there, Tatsu, Megumi, Kazuko, Hideyuki, and really everyone maked me feel like being in a… read more family. Megumi and Kazuko also teached me how to cook some tipical meal. The work in Oozora, the school, gived me a lot of satisfaction. Being in contact with the students was everyday fun and also the lessons where I've partecipated were really funny, with a lots of games. The island is a little paradise. You will have enough free time to see everything, but, still, be surroundend everyday by every kind of nature is somethind beyond words. The experience on Yakushima was one of the best I had in all of Japan in my eight months stay. The work was very fun and I loved exchanging stories with the employees and the other workawayers. Harada-san was so nice to show us so many aspects of Yakushima and Japanese culture (as well as cooking so many delicious meals for us). I would definitely… read more come back and recommend this place to everyone who wants to experience the beautiful nature of Japan and work together with the kindest and most amazing people there are. Thank you all for your hospitality and the great time we spend together! This was my first Workaway experience and I liked it very much! 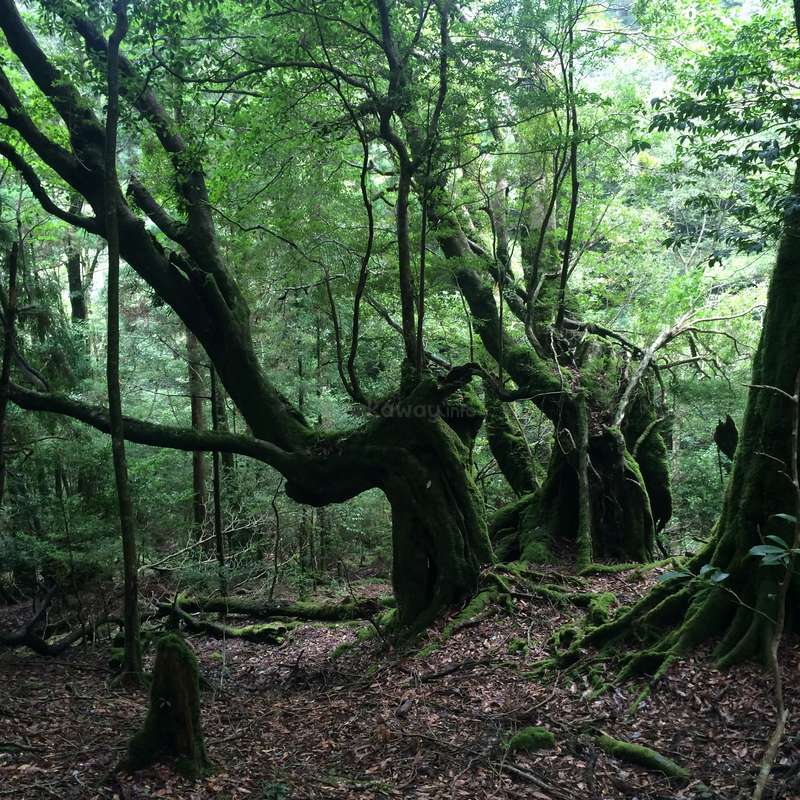 Yakushima is a beautiful Island, and if you enjoy nature, that’s the right place for you! The work is reasonable, be prepared to get dirty! It was a lot of fun, especially with the stuff and Harada-San. 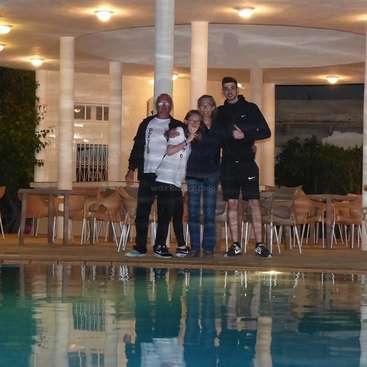 They are so friendly and welcoming, that you almost immediately get the feeling… read more of a big family! The food is very good and you will have time on your variable days off to explore the island. Workdays are generally very thoroughly planned, with lunch with the students at 7am, lunch at 12, and supper at 6pm. Work begins at 9 and almost always ends around 3pm. After I went very often to the nearby onsen and saw so many shooting stars, it was like a dream! But be prepared that it is not very easy nor cheap to get to different places, and the small stores are, well small and not always convenient, you might have to ask Harada-San to drive to the bigger supermarket after work. The WiFi connection is also very questionable, so if you come be ready for the real country side! I can recommend this place very much! What a good stay indeed. I stayed for a duration of three weeks, and had a wonderful time, I could not recommend it more highly. The teachers at the high school are all very friendly, a very outgoing bunch. The hosting done by Harada-san was some of the most generous hospitality I have received. The island is a wonderful place, I felt full of… read more life following my time there. I saw the sunset every day, was able to go to an ocean onsen any day I wanted, and spent time on my own in the mountains afterward. The work is extremely reasonable. It will help if you speak a bit of Japanese, communication gets easier as you might imagine. Also, the cell service and internet is next to none (for my carrier at least). Harada-san can tell you about the over-night ferry to get in. Our workaway time in Yakushima was one of the best experiences we had in our two-month trip in Japan. This was exactly what workaway should be - work in exchange for really genuine cultural experience. Shinichiro-san is such a kind and interesting person who made sure we learn a lot about Japan and especially Yakushima. 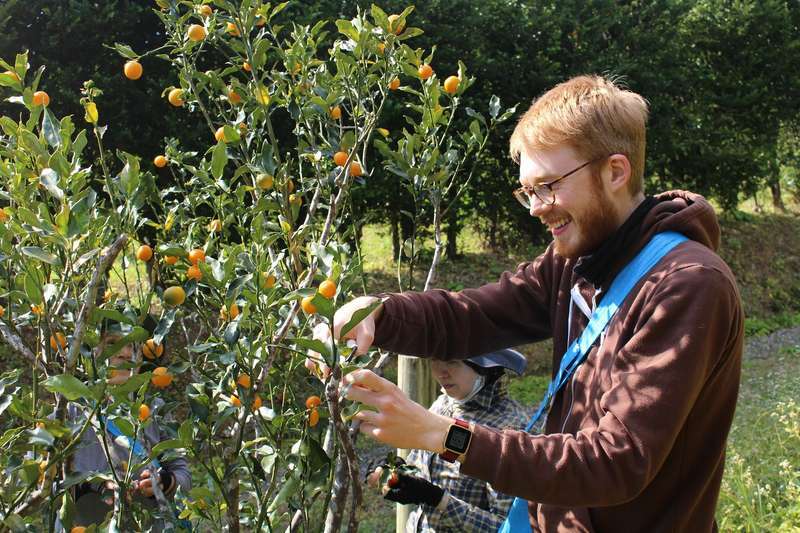 Work was not hard and… read more actually quite interesting - from pruning orange trees (and enjoying the smell of tankan trees) to making mochi and cleaning up the herb garden. Each day was different and interesting. We are really grateful for this experience and hope to be back to Yakushima again. Such a beautiful piece of Japan! I had a lovely time working and staying in yakushima. Our host, Shinchiro-san was kind and has many interesting stories to tell ! The food at the farm was so delicious and fresh! My trip may have been a little unusual as it was disrupted by a typhoon- so I didn't spend as much time teaching as usual. But I had the opportunity to spend lots of time… read more informally with the students and other teachers which I really enjoyed! Thank you so much for a wonderful stay and let's keep in contact ! This was my first workaway and it wont be my last. I had the best time in yakushima, its so beautiful and a must see in japan! If you like nature you will love it here. I learnt so much about the island, japanese culture/cooking and many other things from shinichiro . He is so kind and makes you feel so… read more welcome and is great to talk to. One of my highlights of my trip. Thankyou so much ! Staying and working with Shin and the team in Yakushima was one of the best workaway experiences I could have imagine. Yakushima is such a great place to be at and work at. And Shin has truely become a friend of mine. 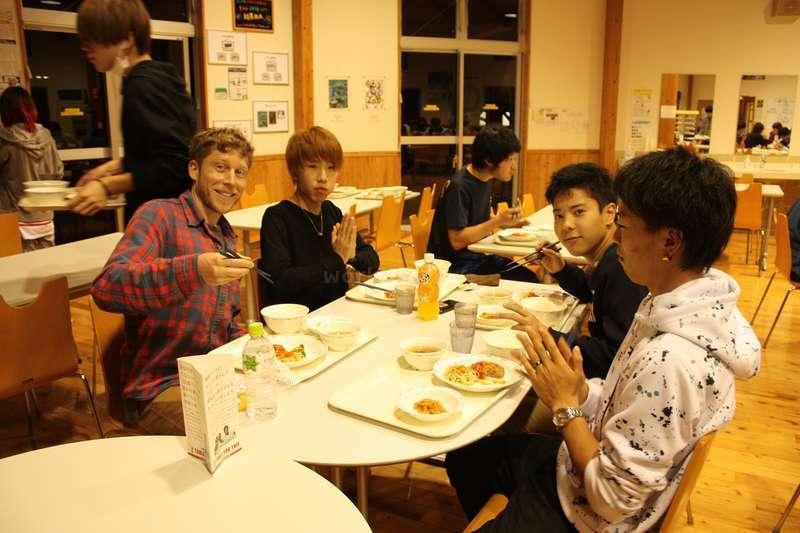 The place where you will stay is a Highschool and you will have breakfast and dinner together with the students which is a very… read more interesting experience! Also seeing the beautiful nature and enjoing the hot springs of yakushima is very great. I highly recomend this host! thanks so much for letting my work with you and all the other in wonderfull yakushima. I had a very great time and look forward to meet you again someday! Please send the best wishes to tazu and the ladies. Family looking for an extra pair of hands in a lovely part of Spain, in Valencia.